Driveways are usually the most neglected part of a property. Just as you spend the time to decorate and clean your home, proper maintenance of the driveway is necessary. After all, it not only creates a great first impression but adds value to your home. If your driveway is starting to show severe signs of age, it may be time for repair. 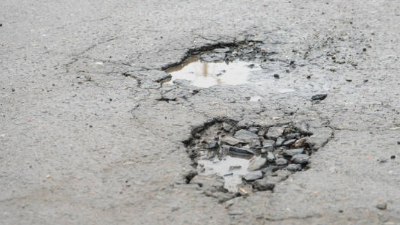 Some typical repairs include cracks, potholes, eroded surfaces, and even drainage issues. The parking lot is the first impression your business makes. What does it say about the care you take with your business if the parking lot is in disarray, riddled with cracks and potholes, and worse case an important client steps out of the car into dirty water? 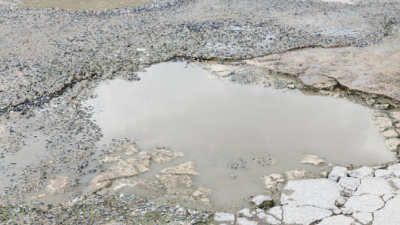 If your parking lot is starting to show severe signs of age, it may be time for repair. 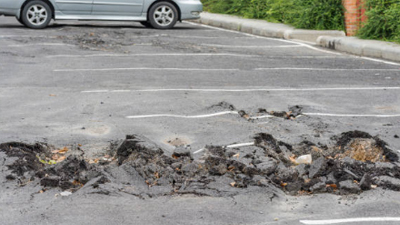 Some other typical parking lot repairs include cracks, potholes, eroded surfaces, drainage issues, and faded parking stripes. Today’s small wear and tear issues can become tomorrow’s disaster. Help protect your investment by regularly servicing your asphalt surface by sealing, filling cracks, and repairing potholes. Not only will your car thank you, but proper maintenance will minimize the impact of a costly asphalt repair or new installation. Although asphalt is meant to be durable and versatile, lubricants, fuel and environmental factors contribute to its deterioration. When cracks are not quickly repaired, water and other destructive materials will settle into the cracks and cause expansion. 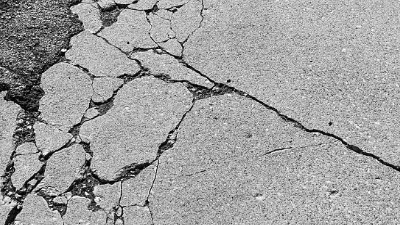 The cracks will quickly worsen, spread and can lead to asphalt failure. The comparative cost of sealing and filling cracks versus an extensive repair or new installation is significant. Send a Picture to Our Experts! If you're not sure how bad the damage is to your pavement, simply request a quote online and attach some photos. Our experts will evaluate your situation and recommend the best remedy, potentially before even coming on-site. We offer a FREE on-site estimate to qualified locations throughout New Jersey. Complete a quick quote request online and we'll contact you shortly!